Electronic commerce or ecommerce is the process of selling and buying of products and services through the internet. It may be new in Australia but it is gaining popularity in every region. Find out why. Australia tops the records as one of the best country to do business. Records show that there are more than 70% Australian customers are making their purchases online. In 2013, online sales in the country have reached beyond 37 billion. This number is contributed to 53% of Australian customers prefer to purchase products and avail services from local ecommerce websites rather than foreign countries’ websites. Online Australian customer spends an average of $2,108 and major credit cards and PayPal are the most-used payment methods. On another scenario that confirms the numbers above, statistics show that more than 90% of the whole Australian population has their access to fast internet. From this number, 60% of this population goes online many times every day. Therefore, online business transactions like ecommerce stores are being used by the majority of popularity. In 2006, Australian customers spend a yearly average of $1,047. It has dramatically increased to $2,108 in 2013. Records reveal that more 70% of these online consumers belong to the 35 to 44 year-old clusters. These online customers believe that ecommerce stores offer lower prices and attractive packages. They prefer to buy products online because of convenience and the wider selections of products offered online. They purchase online through local ecommerce stores because they know these local brands and that they can be trusted. What do you know about ecommerce? Ecommerce or electronic commerce refers to any kind of business or commercial transactions that use internet to transfer information. It includes a wide variety of business, from customer-based retail ecommerce stores to auction websites, to trading products and services among the companies. Ecommerce allows the customers to exchange products and service via electronic system, regardless of time and location. The use of ecommerce stores have grown in the last 5 years and being predicted to continue to expand. B2B or Business to Business is a type of ecommerce between businesses instead of a business and customer. It includes thousands of other businesses, be it suppliers or consumers. If ecommerce system is implemented appropriately, it is generally quicker, more convenient, and cheaper compared to the traditional systems of buying goods and services. These electronic business transactions are done in the form of Electronic Data Interchange or EDI. It involves suppliers and consumers to establish a data link between them. It offers cheaper way for the businesses to establish multiple links for this purpose. It has resulted to the development of online shopping systems where the suppliers and the consumers are connected to do mutually beneficial business. How do you establish an ecommerce store? The shopping cart software refers to the operating system where the customers buy products and services, monitor customers, and connect all aspects of ecommerce into a single organised system. There are many kinds of software to choose from and they can be customizable. There are some software that you are develop, edit, and maintain your ecommerce store. But in what way does this online shopping cart differ from the carts in groceries? When you go online to buy, there is the shopping cart logo. You choose a product that you want and put it into the online shopping cart. Then, you click “checkout” and the purchase is completed as you provide your payment data. Before building your online business, find your niche or the products that you believe customers are having some trouble in finding in the shopping centres. And, take note, there is the shipping to consider. Then, you have to acquire a system that accepts online payments. This can be done by getting a merchant account and accepting major credit cards via online payment channels. Finally, set up an effective marketing strategy that generates quality traffic to you website and retain customers. If you are new to ecommerce system, make your website simple yet attractive to customers. It is seen that in 2016, the spending behavior of online customers in Australia will grow by $27 billion. 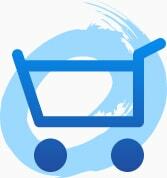 M-commerce, a new ecommerce system, is emerging. It will ignite the spending behavior of Australia because of the easy accessibility and convenience of the online shopping systems, particularly through mobile gadgets. Last year, there were more than 50% of the online customers who did their online shopping via mobile gadgets. And it is predicted that this number will increase with the new mobile apps on the way! There are unlimited opportunities waiting in ecommerce ventures. Because of this, there are thousands of web developers who offer attractive packages to help you build and maintain your ecommerce stores. Creativ Digital is a Sydney-based company competent and trusted web developers and web designers who offer reliable services. They are experts on the field of ecommerce and online marketing strategies. They have helped many businesses and corporations, and even universities grow with their websites. They can guide you and give professional advices regarding your ecommerce venture. For free consultation, you can send them email or contact 1 300 055 867. We will be very glad to hear from and start partnership with you!